What Would it Take to Declare the EMS a Domain? THANK YOU for Making the AOC 53rd Annual International Symposium and Convention a Fantastic Success! Thank you to all the attendees, volunteers, speakers and others who made our annual event one of the best ever. Please take a few moments to fill out the post-event survey, which you should have received this week. Also if you missed any issue of the show daily or any of the great press coverage, visit the links below. And visit our Convention Page for event photos, including award winners and photos from the annual STEM event. And mark your calendar for next year's event now: November 28-30, 2017 in Washington, D.C. The Gold Medal Award is the AOC's highest and most prestigious honor. 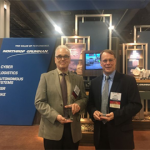 It is presented to a senior U.S. or International Government, Military or Industry Official in recognition of outstanding and dedicated service to promote and advance the discipline of Electronic Warfare. 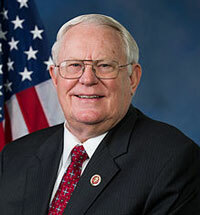 This year's winner is Pennsylvania Congressman Joseph R. Pitts, who established the bipartisan Electronic Warfare Working Group as a member of the U.S. House Armed Services Committee in 1999. Pitts, a former US Air Force B-52 EW Officer, has worked tirelessly through his career, both as an officer and in government, to advocate for EW and the EMS Domain. Read the Remarks from Congressman Pitts on Acceptance of the AOC Gold Medal at the 53rd Annual AOC International Symposium and Convention last week in Washington, D.C.
"Collaborative Electronic Warfare: Enabling Collaborative EW Through Innovation and Invention"
As EW warfighting requirements continue to evolve in their complexity and interdependency, it is clear that future EW systems must work collaboratively with other Air, Ground, Surface Space and Cyberspace systems. The 46th Annual Point Mugu Electronic Warfare Symposium will facilitate the exchange of enabling concepts and provide a venue to disseminate current research in the fields of Collaborative Electronic Warfare. Prominent leaders, contributors and representatives from the United States and Australian military, government, academia, and industry will come together to address current Electronic Warfare gaps and emerging technologies in Collaborative Electronic Warfare required to address these gaps. This call for presentations or demonstrations challenges presenters to explore the way forward in enabling collaborative EW through innovation and invention. 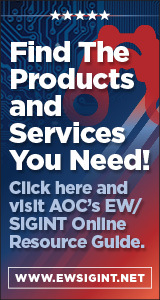 Presentations or demonstrations from all United States and Australian Services, DoD, Industry, and Academia are requested that identify technical paths, options, and potential opportunities for EW collaboration. Submitted abstracts are specifically requested to address one or more of the symposium sessions: threat trends, collaborative EW science and technology perspectives, cognitive and adaptive EW technologies, coordinated/distributed networked enabled systems, and warfighter perspectives. Amplifying information on these supporting topics and draft agenda are referenced below. Abstracts for presentations are required in unclassified textual format. Please forward abstracts to Ms. Shelley Frost at frost@crows.org. The deadline is January 12, 2017. We request that abstracts be limited to one page of text or 400 words. All sessions will be classified SECRET releasable Australia. AOC EW Europe will be held in perhaps the world’s most iconic city – London. It will consider the future of EW and EM Operations in the changing light of current and emerging threats, including Hybrid Warfare and Anti Access/Area Denial (A2/AD) where potential opponents are out-performing the West. It will consider the possible responses and how thinking and attitudes must change and examine the new capabilities that will be required across all lines of development, by all services, in all countries in the free world. Our Symposium Committee, Dixie Crow Chapter President, and Chapter Directors cordially invite you to join us for all the exciting events at the Dixie Crow 42nd EW/IO Technical Symposium, March 19-23 in Warner Robins, GA. 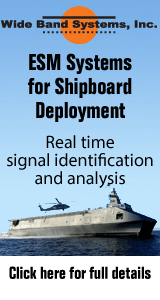 The Dixie Crow EW/IO Technical Symposium is pending approval by SAF/AA. AFLCMC/WNY is co-hosting the Symposium’s AF Technical Program and Short Courses with the Dixie Crow Chapter of the AOC. 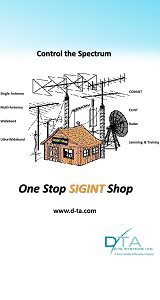 AOC CONVENTION NEWS: What Would it Take to Declare the Electromagnetic Spectrum a Domain of Warfare?